Freddie handed me some demo’s & tracks around 2001 and always really loved this song and arrangement but didn’t know where to put it. A few years later it featured on a Tru Thoughts ”Soul Search ” artist album in 2006 but still never came out in it’s own right as a single. 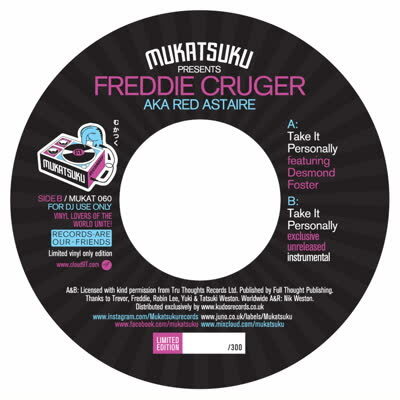 Earlier this year we mentioned to Freddie we were interested and asked if he had an unreleased instrumental for the flip to which he duly supplied and so finally to surface on Mukatsuku a timeless soulful classic that doesn’t seem to have aged at all. Limited to 300 hand numbered copies and no repress.